The 3T Exploro is the world’s first aero adventure bike. It can fit 25-millimeter road tires, 40-millimeter gravel tires, or 53-millimeter mountain bike tires.The road and cross tires are 700c and the mountain bike tires use the 650b size, which means that in any configuration you have virtually the same overall wheel diameter and, therefore, the same predictable handling. Its road geometry is fast on smooth surfaces and highly capable on bad ones. 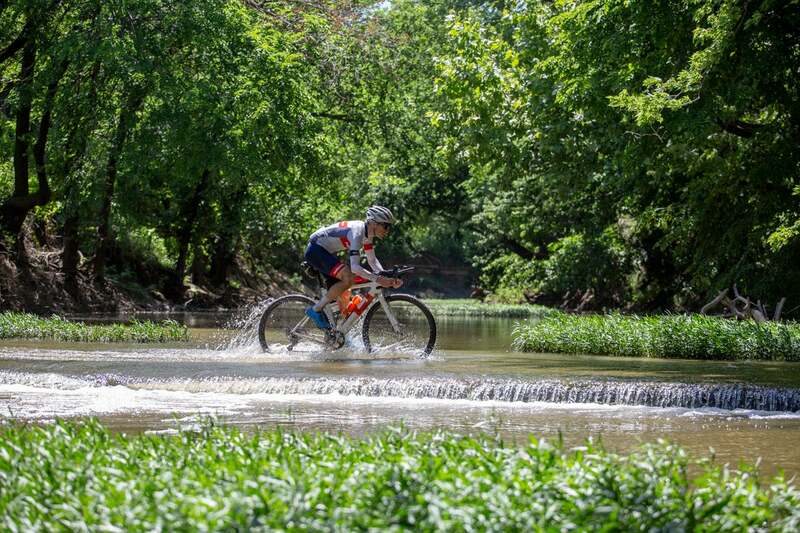 With clearance for up to 2.1-inch mountain bike tires, you’ll be able to tackle almost any terrain and have room to spare when things get muddy or wet. But what really sets this bike apart is its aerodynamics. According to 3T, they are so good that even with knobby tires, it outperforms round-tube road bikes with skinny tires. 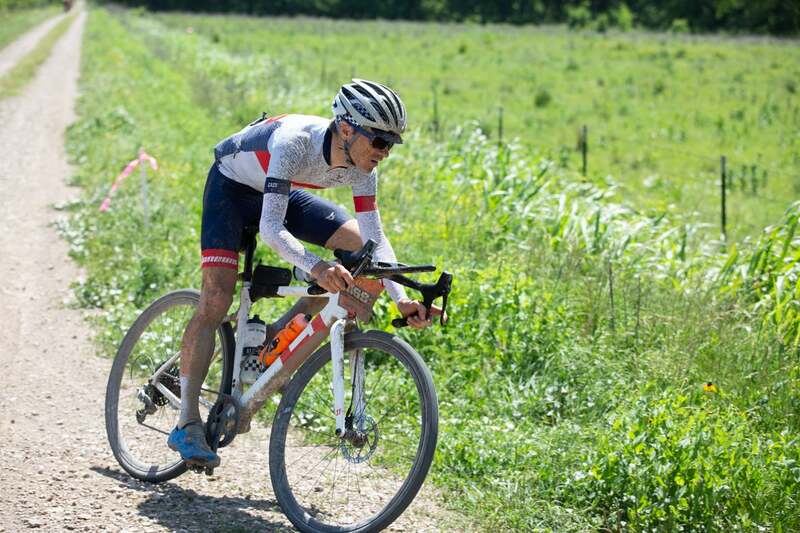 Maybe you’re thinking, ‘Why would aerodynamics be important on gravel rides?’ It’s true, you may go slower at times off-road, but there are plenty of times when you will be hitting high speeds. Perhaps even more importantly, in head- or crosswinds, you may be slow relative to the ground but very fast relative to the air. That’s what determines the resistance you experience. When you’re dealing with crosswinds in the Kansas Flint Hills for 12 hours (if you’re really lucky), aerodynamics will be your best friend. The Exploro was tested at 20mph (32kmh) instead of the standard 30mph (48kmh). The frame is aerodynamically optimized with water bottles, because you can’t do Dirty Kanza without hydration. The so-called Sqaero tube shapes are even fast when covered in mud. 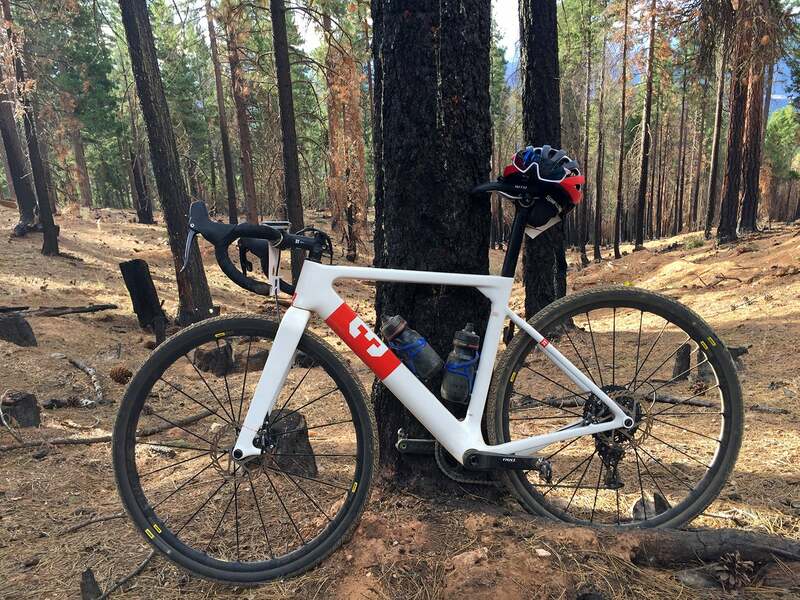 According to 3T’s data, a muddy Exploro with 40-mllimeter knobby gravel tires and two water bottles is faster than an equivalent clean round-tube bike with 28-millimeter slick road tires without bottles. 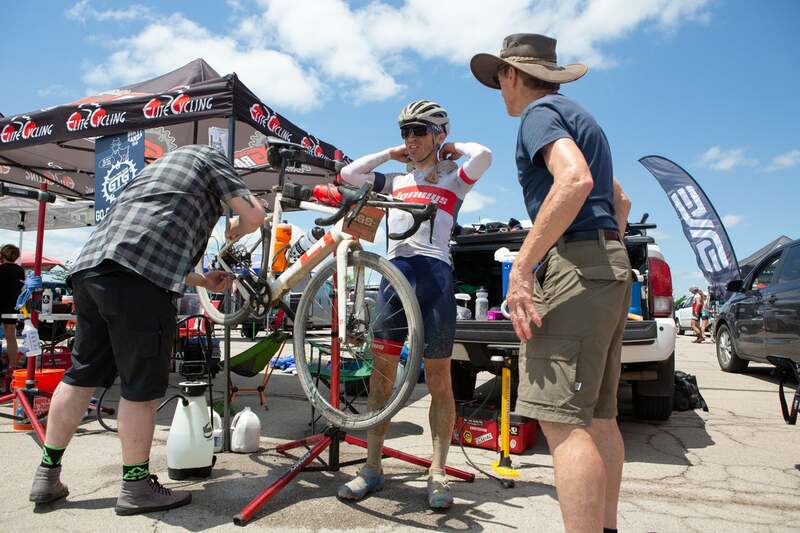 To top it off, the Exploro was ridden to victory at Dirty Kanza in 2017 under Mat Stephens.